The predecessor to DVD. 12" diameter disc with similar appearance to a CD through thicker and normally has video on both sides. Available in 2 formats CAV and CLV allowing playback times of up to 30 and 60 minutes respectively. The CAV format has 1 video frame per revolution of the disc. This allows easy implementation of trick playback by stopping, reversing or changing speed of the laser pickup. 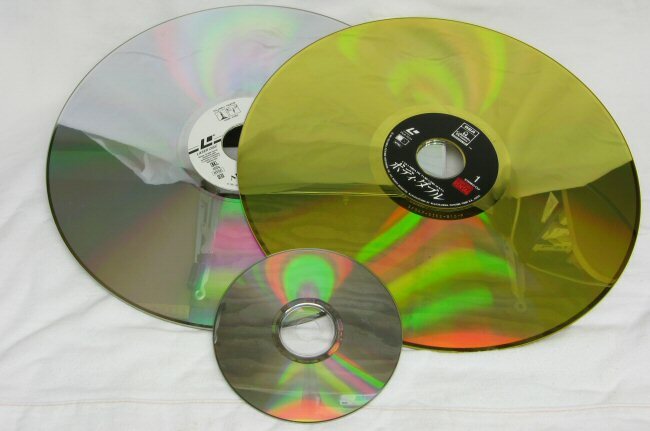 Production of discs stopped around the year 2000. 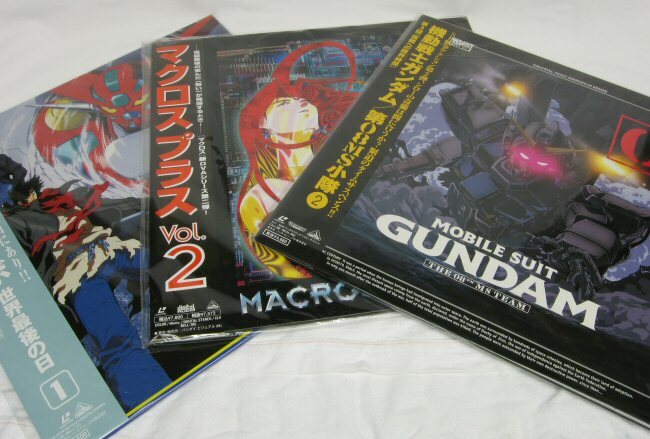 Laser disc is still quite popular in Japan and readily available.